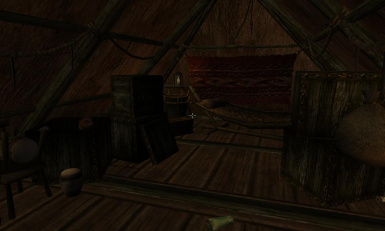 This plugin adds an attic to Arrille\'s Tradehouse, with a bed to rent for the player. You can rent it from Tandram Andalen, the Dunmer behind the counter on second floor. He also offers a basic selection of foods and drinks. a year, until I have decided to finally release it. No exterior cells have been changed by this mod. just a little something for the start. Copy the file into your Morrowind/Data Files folder. name and as long as credit is given for the work I have done. and location of the models intact. Thank you. Official Bethesda Forums as Aisis, or on PES forums as Astraia. the same for the other forums.